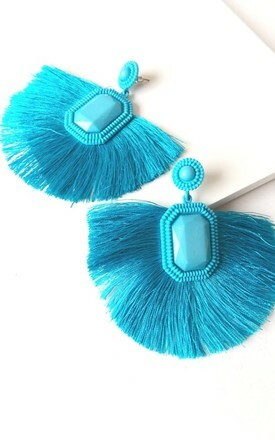 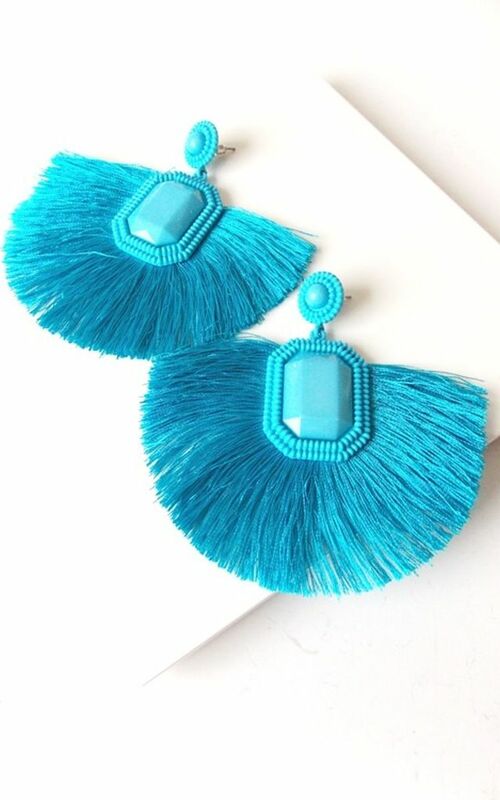 Turquoise, fan shaped, tassel earrings from Olivia Divine. Length 9cm x 9.5 cm width approx. 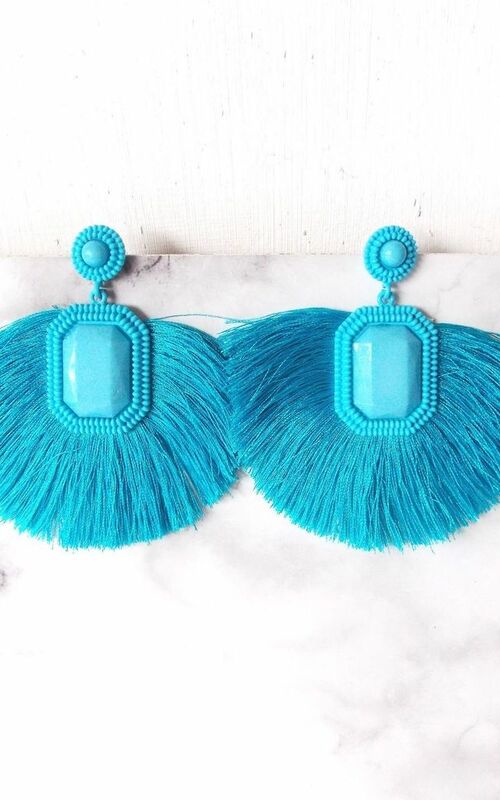 Perfect for your holiday wardrobe.